Herbal headache remedies can be quite effective if the right ones are chosen! So many times I find many patients are looking for alternatives to drugs when it comes to treating their headaches. 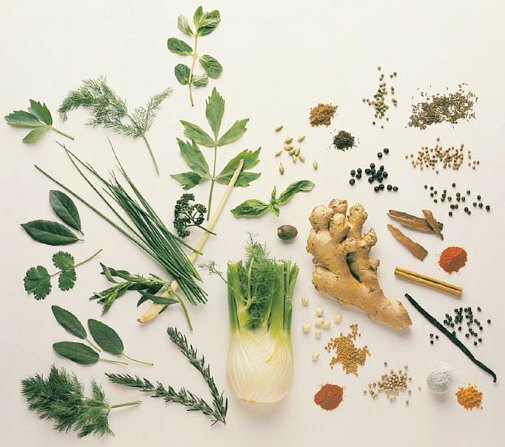 In low doses, many herbs can help stop a headache if the headache is mild. Some are great for daily use to prevent headaches, while others can sooth the upset stomach. Keep in mind, that a little goes a long way and many herbs used for pain and mood can interact with prescription drugs. Another thing to keep in mind that the FDA does not standardize herbal preparations in the US (as of yet). One way to insure your quality of herbs for headache is to get them from a company that produces only organics and maintains standards. Ginger can be an excellent herbal remedy for that "wonderful" symptom of nausea. Proven throughout the years, ginger in many forms can help settle the stomach. Many people prefer to use ginger teas but keep in mind the earlier you can get the tea into you, the better off you will be. It is very difficult to swallow anything if full blown nausea and vomiting is going on! It has these anti-nausea effects because it speeds digestion and increases saliva production. Also, it has some anti-inflammatory properties. If taken in large quantities it causes diaphoresis (excessive sweating). In centuries past ginger was used this way to break a fever by causing sweating. 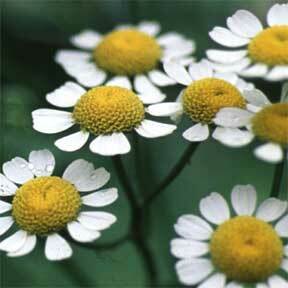 Feverfew is well known to migraineurs as an herb headache preventative. It has gentle anti-inflammatory properties which may stop part of the migraine from progressing. Because of this it is also used for arthritis. Feverfew can take up to 3 months to be effective in migraine. Too many times, people will tell me the herb was not effective and come to find out, they took it for only two or three weeks. Feverfew should NOT be taken if you are pregnant as it runs the risk of causing bleeding. You also should avoid it if you have active peptic ulcer disease. You cannot take it if you are on any of the following medications: Aspirin, Plavix, Aggranox, Coumadin, Warfarin or any blood thinners taken daily. SPECIAL NOTE: Children and adolescents tend to respond faster and better to feverfew than adults do. Gaining attention recently as one of the herbal headache remedies, Butterbur is showing promise in this area. Like feverfew, clinical trials have been conducted and have shown up to a 50% reduction in headaches in those taking Butterbur. Petadolex is the supplement which contains Butterbur. Like feverfew you must stay on it for a few months to see the full effect on your headaches. Cayenne is available in a nasal spray as one of the herbal headache remedies. YUK you say! Spray this up my nose? Well, true it hasn't been proven yet but there is a method to the madness! Capsician is the key ingredient here and when sprayed up the nose it hits a nerve plexus at the back. This nerve "talks" to the trigeminal nerve which is responsible for migraine. The technical term is a sphenopalantine block, which can also be performed by your doctor using lidocaine on a nasal swab. Unfortunately, the effect wears off soon which is why it hasn't been too successful..oh that and the possible burning sensation! I am mentioning Ginko because there is some "buzz" in the headache community about this herb. Ginko has been promoted for memory with the idea it increases blood flow to the brain. While it doesn't affect blood vessels, it DOES thin the blood which could improve flow. That's all well and good, but it has little effect on headaches or migraines. In fact if you take it with feverfew and aspirin you could run the risk of microscopic hemmorahges in the brain. Best to leave this one alone when it comes to headache treatment. One of the problems many headache sufferers complain of is sleep problems. Use of Valerian and Camomile before bed has been shown to have some relaxing properties. Regular exercise before bed can also help to calm anxiety and nerves, and who knows? Maybe a cup of Valarian tea will help! Read more about sleep and headaches. 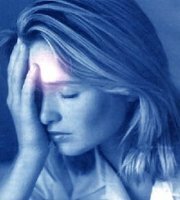 More herbal information can be found at Herbal-Remedies-Information.com in relation to herbal headache remedies.